In between getting her hair and makeup trail done and picking up her wedding dress we had about 25 minutes...yes less than half an hour...to capture these shots! But we didn't let time stand in our way. No way! 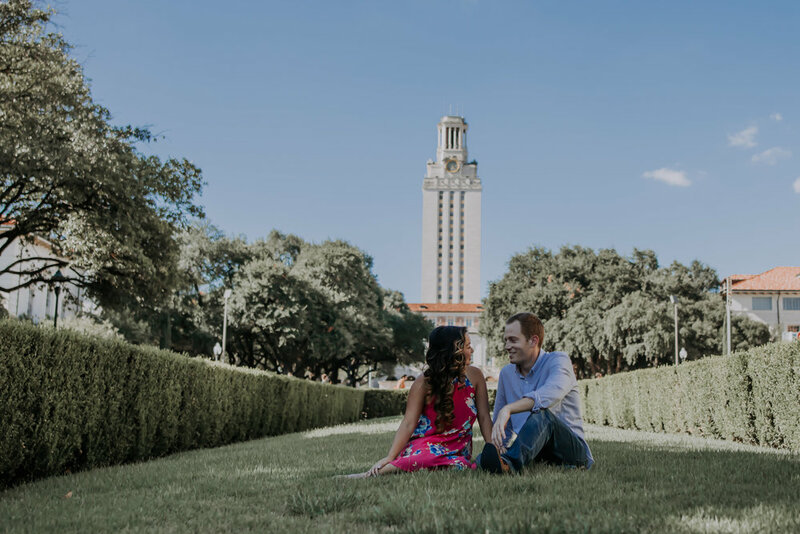 From the beautiful doorway at Battle Hall on UT's campus, to the breath taking tower, to Littlefield Fountain we captured it all! Nancy and Matthew also fought the 100° weather on a steamy hot August afternoon. Thankfully they are getting married in December so won't have to worry about fighting the heat on their wedding day! It was brutal, but they smiled through it all! 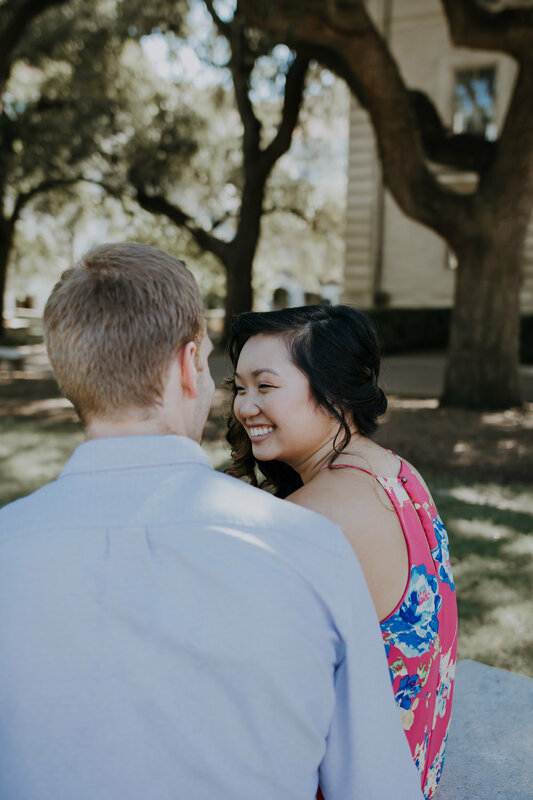 So enjoy the beautiful University of Texas campus in these photos and embrace the love between these two lovebirds. Hook em' and Texas Fight!